I keep proclaiming my desire for a mismatched, crazy tiled floor in the hallway when we buy our first house (probably in 50+ years' time) but Sam is having none of it. I can't decide which one of us is being unreasonable. Sure, they must be a total pain to decorate around (I guess your only wall colour option here is white!) but they look amazing. 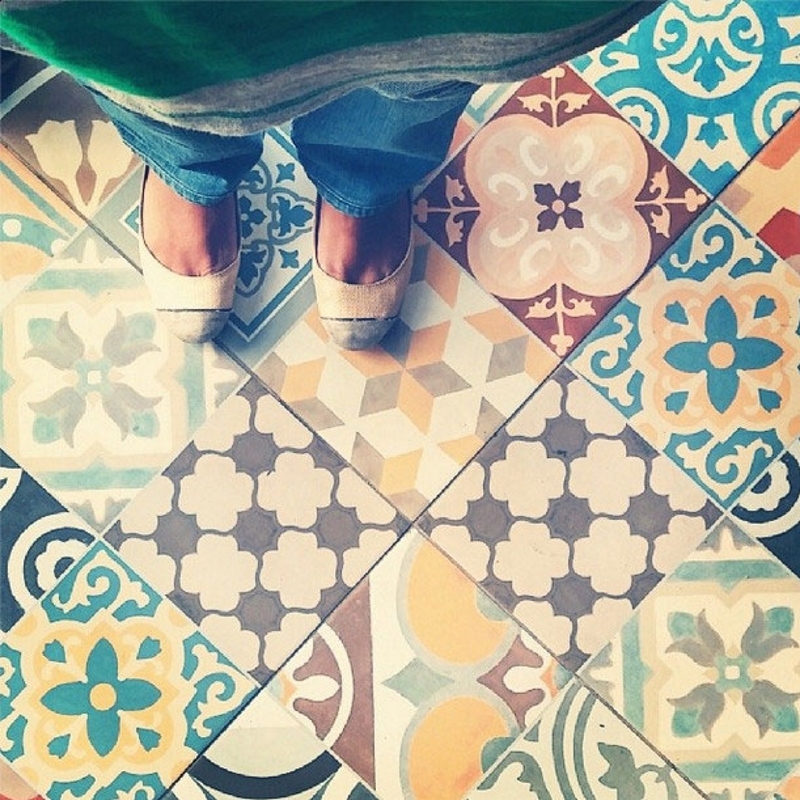 My favourite thing about this idea is the potential for you to put your own personality into the room - you can choose all the tiles yourselves and make a floor with special meaning behind it. Looking at pictures from other people's houses, it seems the best way to choose your designs is to pick colours and patterns that are harmonious, but not too similar. 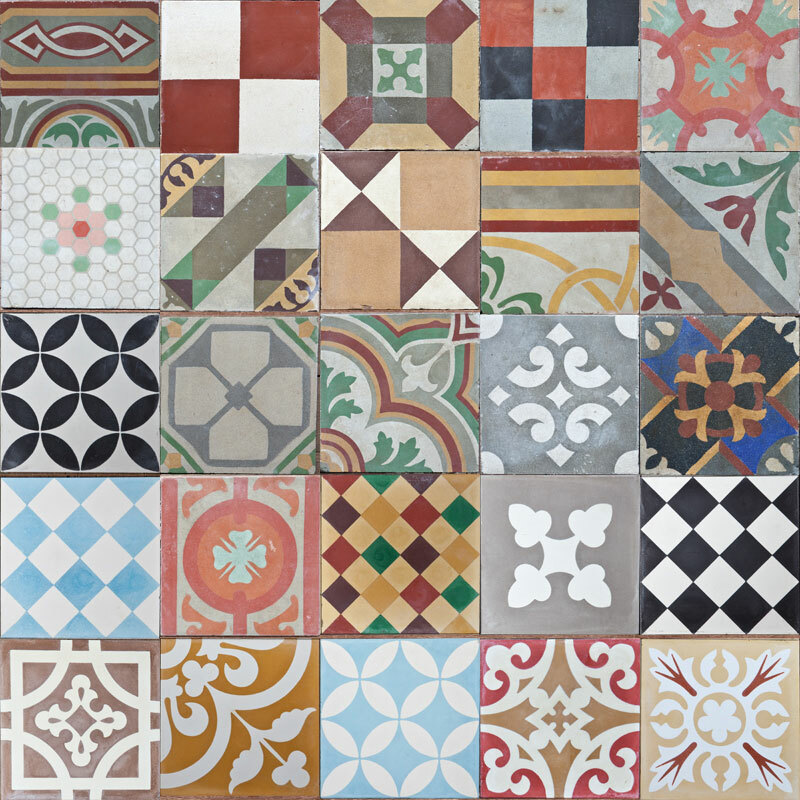 Lots of very loud and very different tiles will scream out and compete with one another, so a better strategy is to pick a handful of your favourites and then balance them out with some which are more subdued. I like the idea of picking most of the tiles from one colour palette (in this case it's blues) with a couple of wild cards thrown in for fun. Those gold and white geometric are on the cusp of not working with the other patterns, but I like them so they're staying. 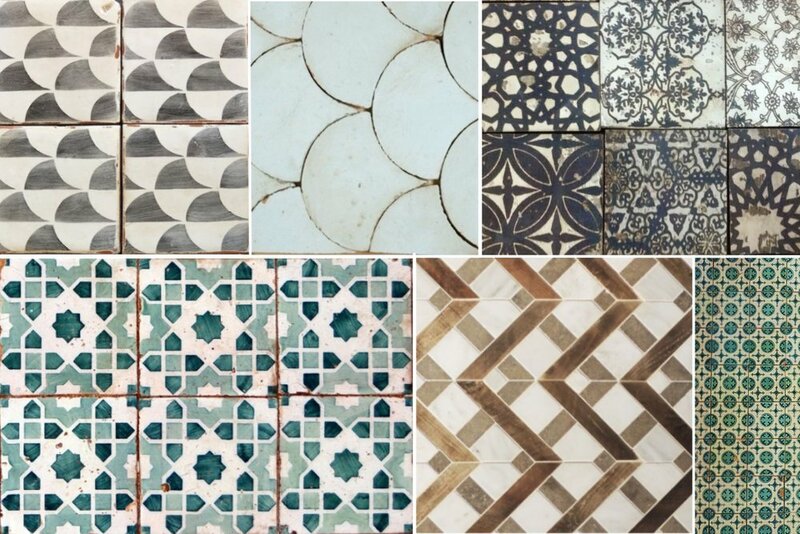 These tiles from from an Aussie brand called Jatana Interiors are pretty special. I'm not sure I could do quite so many different colours in one go, but could perhaps pick out just the blues, greys or oranges and mix them with other, more neutral designs. This would be pretty cool, if potentially a nightmare to plan. The monochrome colour scheme is nice and clean, but I think I'd go for some crazy Moroccan colours on the patterned tiles to liven things up a bit. The question is, where can you get your hands on so many varieties of tiny hexagonal tiles? Any ideas?